Andrew Stevenson Plumbing, Gas and Heating, first established in 1887, is a family owned plumbing company situated in Belfast. Our aim is to provide a high quality plumbing solution that is built on personalised customer service and experienced workmanship. 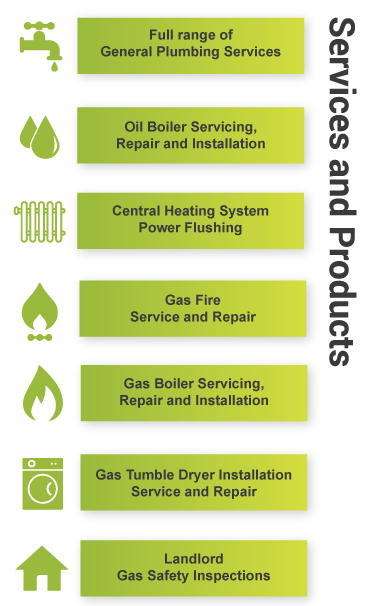 We offer a wide variety of plumbing and heating services ranging from domestic plumbing, gas, central heating, safety inspections and installation / maintenance services. We are a Gas Safe Registered Business, giving you peace of mind that we are fully qualified and insured to carry all gas works out in accordance with current gas safety regulations and to industry standard. Please do not hesitate to call me to discuss your plumbing and heating needs.